I’m becoming more and more convinced after working on anti-racism work, Islamophobia, and inter-religious dialogue that there is an exceedingly personal and intimate dimension to prejudice and racism. If you look at just three popular academic disciplines and their findings on racism, we find that in the neuroscience of prejudice (implicit prejudice exists pre-rationally) or in critical race studies (identity is discursively constructed and produced via discourses that leave the field relatively imagined and therefore malleable) and social psychology (racism is the response to inner anxiety and frustration). Thus, we find a number of entry points to the question of racism, but none can answer how the intimacy functions — that is, why the racist also has a certain perverse dependence on the culture that he or she is lashing out against. I have always been interested in the arbitrary dimension of racism. As in, why do people exert the care to even disrupt an otherwise private set of social relations. Most racism today seems either subdued under a sort of ideology that claims it no longer exists, or it is outright and in your face, overdetermined. It is this outright racism that fascinates me the most. It contains a strange dependence on the other-as-object which fascinates me. The other becomes a source of relief and in the supposed destructive acts that lash out on the other, which take the form of blocking access, or exerting violent hatred, we find a paradoxical obsession with the other, a dependence on the object of racism. Others argue that such a view might trivialize and even overly individualize the phenomenon of racism and that all racism is really the result of power relations, or certain historical systems that suspend human actors into situations where they know no better but to lash out in hate. Yet this view ends up reifying identity across cultures as a fragile thing that must be protected, thereby supporting in part what the racist is fomenting against. The problem of identity politics and multiculturalism is that it takes away the idea of responsibility from the agent. I recently sought to invoke Foucault to describe and understand how Islamophobia functions as a power discourse through the concept of governmentality. In this talk, which I put together based on work on Foucault I did on tolerance while a graduate student, it dawned on me that it too relinquished a degree of agency in favor of processes of subjection, rendering a playing field where responsibility for actions becomes almost impossible to locate. What does an intimate critique of racism look like? If we look at the popular argument against liberating the institution of slavery on behalf of the American slaveholder’s in the South, we see beneath their argument an exceedingly personal terms. They reasoned that the disintegration of slavery would pose a threat to the institution of the family, and thus destabilize the fragile structure of family life that had depended upon the integration of the slave in southern family life. To erode such fragile social relations would unleash anarchy. The slave was not only an object of practical use, an instrument for (in)human labor, the slave was also an intimate part of the master’s familial network, in fact the slave became the stabilizing presence that kept the master’s entire life world intact. This letter from a freed slave to his master reveals this paradoxical dependence upon the slave for the entire semblance of power and authority. We typically read the ideological support for slavery in the American south through the theological, enlightenment, and economic lenses. Theological: God did not include the African into the realm of salvation, and blacks were not eligible for the same kind of divine redemption as whites. Enlightenment: the exclusion of blacks based on enlightenment principles of the spread of reason, such as the argument that Kant made, that Africans were not eligible for participation in pure reason. Economic: the southern slaveholders were really after establishing an economic power base, or the historical forces of capital were moving asunder and the institution of slavery was indirectly effected. We held the same views in essence over the second Iraq war, but of course we should not neglect the psychodynamic and intimate argument: Sadam Hussein attempted to kill George Bush Jr.’s father, unleashing a desire for revenge that when met with a religious crusader mentality and the raw empirical reality of control over oil and capitalist necessity, we were embroiled in war. Yet the same could be said of Martin Luther, his frustrated relation with his father and immense feelings of inadequacy led to a sort of sublimation of his dejection into revolutionary power. There is a psychoanalytic function to racism that we find in Julia Kristeva’s Powers of Horror: An Essay on Abjection. Kristeva’s essay presents an entirely new theory of psychoanalysis that combines semiotics, anthropology, and Lacan. Her concept of abjection has much to say about racism, bigotry and prejudice. In short, abjection argues that inside all of us there is a disposition that constructs a form of intimate racism built into our psychical processes. Put differently, racism and bigotry contain an internal functioning process that consists of a degree of similarity across all of its expressions. The theory of abjection argues that there is a zone of disgust inside all of us where the place of otherness resides, this zone is the abject, and as Julia Kristeva points out, it is foundational to the self. 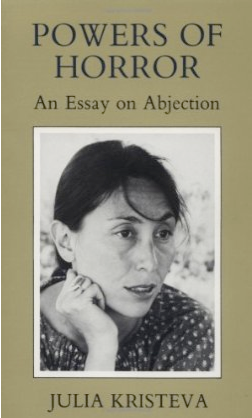 Kristeva refers to abjection as a type of hatred that smiles. Abjection is a process that takes place when the subject seeks to identify with something within, and the ensuing realization occurs that all its objects are based on an inaugural loss. “Fear having been bracketed, discourse will seem tenable only if it ceaselessly confronts that otherness, a burden both repellent and repelled, a deep well of memory that is unapproachable and intimate: the abject” (6). The abject is a subject, and as a subject, its fundamental question is not who am I, but where am I? The abject thus shares a relation with the pervert, whose struggle resides in the relation to the others enjoyment. Kristeva places the abject in the mirror stage where the body replaces itself into an other body (most often the father’s). The other points the abject out of a process of self loathing, and the possession of the abject has of the other is one prior to the self’s advent: it is only experienced if an other has dwelt in a place that will be “me.” This possession causes the self to be. The abjected is all around us, rooted in our imagination, spirituality, and in our culture. Kristeva argues that man is a spiritual being only in so far as he internalizes his repulsion, his abjection. The Christian subject is a lapsing subject, completely devoured by abjection and Christ provides the only purity. Sin remains the rock where one endures the human condition as separate. Abjection becomes a source for reconciliation. To set oneself up as evil is to abolish oneself as evil. The excluded other of the symbolic order presents the fragility of the symbolic as such, which is Why waste, nail clippings, and tears represent this sort of frailty. To defile the body is a way to purge internalized abjection. Our religious traditions turned abjection inward and thus the birth of original sin was brought about. There is a direct correlation between abjection and desire. As Lacan shows, desire is never the desire for an idealized norm, it is always desire for the norm of the Other? On the way to the realization of this desire, as if hatched by desire for others, the subject encounters abjection. Abjection is the first authentic feeling in constituting the self as such, and it opens a space that would otherwise be a ‘fortified castle.” By incorporating the abject we fortify our own self. 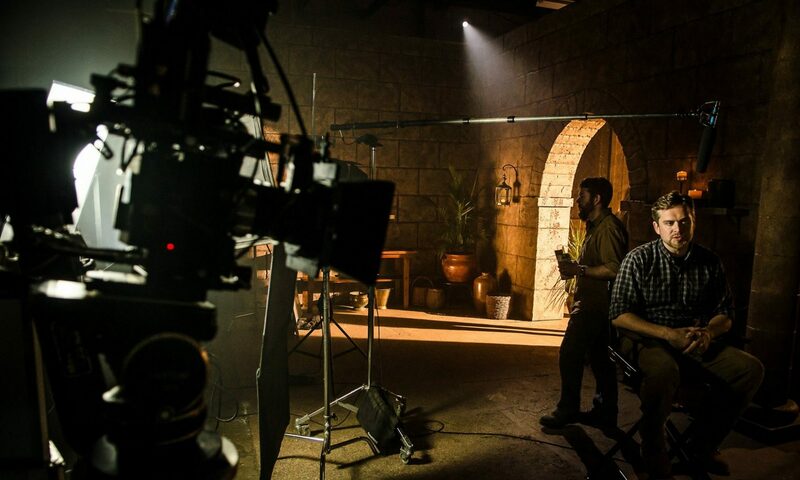 Therein resides the intimacy of incorporating the abject culture, religion, race. The abjected other is for most of us an internal process. We feel that the other is disgusting and hideous, but we don’t let this rise to the surface, the satisfaction that comes with the obsessive defilement of the abjected other affirms something much deeper perhaps.